Dr. David C. Ashley along with the Smile Smart’s experienced staff is dedicated to giving you the finest and friendliest dental care anywhere. They will make sure you leave smiling! 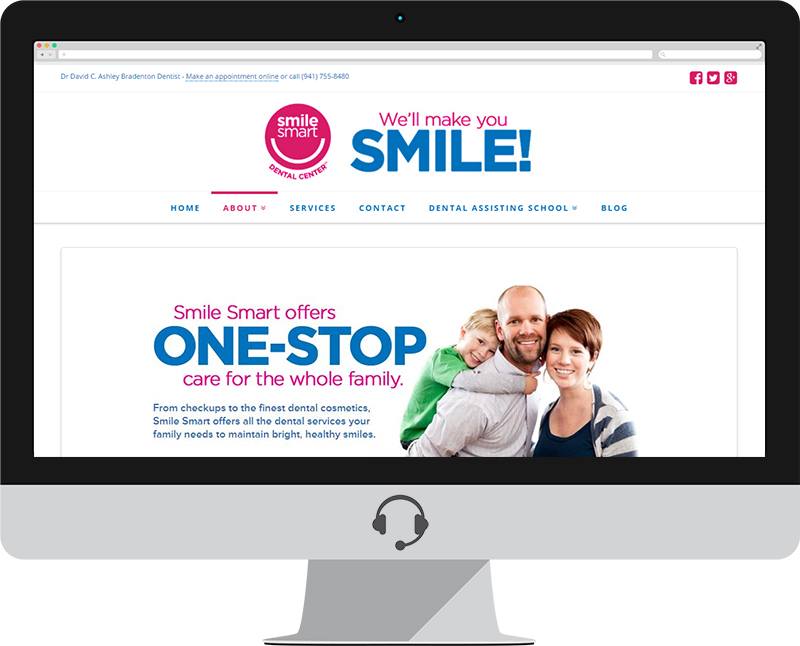 From cleanings to root canals to cosmetics, Smile Smart is a one-stop dental center featuring the latest dental technology for your whole family—all in one place. Our convenient location is in the Tara Twelve Oaks Publix Plaza in Bradenton, right off I-75. After your visit, do your shopping, get your nails done or go to lunch—all in one trip! We serve clients from Lakewood Ranch, Bradenton and Sarasota. Smile Smart employs the latest, most modern dental procedures and equipment to assure you receive the finest care—and save money. Smile Smart uses the safest dental digital x-rays on the market. Whenever you have questions about dental care or specific procedures, Smile Smart’s dental care professionals will be happy to answer them.